A rudimentary study of the green leafy veggie. You may be wondering why I’m writing a blog about kale. After all, what has kale to do with education and evaluation? As someone living in Southern California, I’ve evolved into a “conscious” eater and learned to be aware of what I put inside my body. I have a small plot at a nearby community garden where I’ve planted basil, tomatoes, cucumbers, basil, arugula, chard, peppers, mint, lavender, and kale…lots of kale. I also support my local farmer’s market where I shop each Sunday and stock up on organic (non GMO) produce. But did I mention my love for kale? I really love kale, whether raw chopped up in a salad, used as a wrap, stir fried or baked in the oven for a bowl full of kale chips. So when a friend and colleague at a local community college (you know who you are) challenged me to write a blog about kale and education, I had no choice but accept. 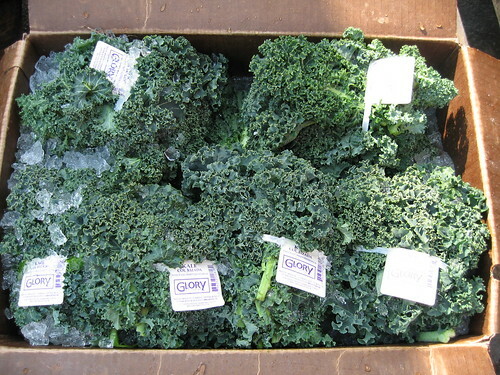 As a staunch supporter of the leafy green plant, I couldn’t shirk away and let kale down. Yet, how was I to tie kale into education or vice versa? I’m neither a nutritionist nor do I espouse to be an expert, but a challenge is a challenge. Amazing things happen when we face challenges! No sooner had I started my research on kale and scratching my head on how to pair it with education that I came up with the brilliant idea of creating a new college major. In my make-believe college, students can earn the Associate of Arts (AA), drum roll please, in Kale Studies! Not bad, eh? Empowered by the knowledge gained and fortified by all the nutritional goodness of the plant, imagine the opportunities and endless possibilities awaiting the graduate with his/her freshly minted AA in Kale Studies diploma. Kale chips, if you haven’t tried them, are a delicious nutritious and easy-to-make snack. Here’s how you prepare kale chips: remove kale leaves from stems, tear into bite-sized pieces, drizzle with olive oil (I like coconut oil) and a dash of salt and any other seasoning (I drizzle sesame seeds), and bake 10 to 15 minutes in a 400°F oven or until crispy. Faced with the junk-food variety of food options on and off campus, students at UC Berkeley, helped raise $100K to form a non-profit food co-op that serves as an “edible education hub.” Of course, many varieties of kale are grown in this edible hub. The word kale, according to Texas A&M Agriculture Extension, comes from the Latin coles which is the Latin word for all vegetables that fall into the cabbage family. Believe it or not, there’s a school of writers known as the Kailyard school of Scottish writers, which included J. M. Barrie (creator of Peter Pan) and consisted of authors who wrote about traditional rural Scottish life (kailyard = kale field). In the book Autumn in Kyle and the charm of Cunninghame the author D.C. Cuthbertson writes about Kilmaurs in East Ayrshire known for its kale which was an important foodstuff. There’s a story about a neighboring village offering to pay a generous price for some kale seeds, an offer too good to turn down. The locals agreed; but a gentle roasting on a shovel over a coal fire ensured that the seeds never germinated. Many varieties of kale are grown mainly for their ornamental leaves, which are brilliant white, red, pink, lavender, blue or violet in the interior of the rosette. There are different types of kale and they are differentiated by color (green, white, purple, or bluish green) and leaf shape. You can beat the blues by increasing your intake of foods that are antioxidants. According to a new study from Harvard researchers there was a strong association between adults’ levels of optimism and the amount of carotenoid antioxidants in their blood. Carotenoids, as mentioned above in the course Nutrition (a pre-requisite), are found in richly colored green and orange vegetables, including kale, sweet potatoes, carrots, and collard greens. The results suggest that the more servings of carotenoid-containing vegetables (e.g. kale) you eat, the results suggest, the brighter your outlook. Share with us your favorite Kale recipes and any other “education” tid-bits we can add to this list. In the meantime, go buy (even better, plant ) some kale and enjoy! How many of us were badgered by our mothers to “Eat your greens” when staring at the dinner plate, preferring to polish off the spaghetti, fried chicken, or pizza, letting the green stuff sit. Spinach? Broccoli? Collards? Yuck! In Germany, there are a couple of seasonal, very “green” traditional foods, consumed mostly in the Fall and Winter when the first frost occurs, and continuing on until spring. I am sure most people don’t really think about the health benefits of what they are eating, however, there is no accident that these traditions happen when our immune systems are lowered by cold weather and the bacteria that germinate indoors, during those months. Once again, I’ve noticed some interesting and inspiring differences between Germany and America. I just can’t help it. One of the areas of great interest to me is healthcare, and attitudes towards health and healing. Both Germany and America have amazing foundations for medical care and treatment, as well as great education in the healthcare fields. 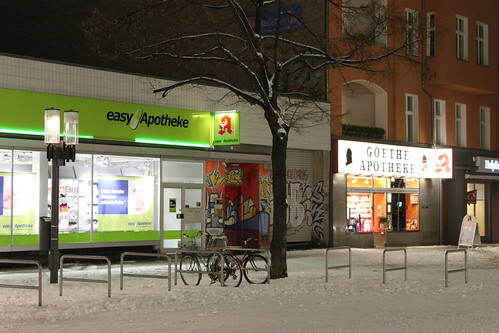 But one thing I’ve noticed which constantly astounds me is the proliferation of neighborhood Apotheken, or Pharmacies. I swear, there is a small pharmacy on just about every other block, and every second corner, even in the smaller villages. It’s crazy, how many pharmacies there are. Americans want to be fit and healthy and Germans want to be sure they stay healthy and just assume they will be fit as a result. However judging by the number of Apotheken, I would venture to say that they have a serious preoccupation with health. Of course all Germans can afford it, but I won’t go in to the health-care-for everyone-regardless-of-your-ability-to pay aspect, here in Germany. That is for a later blog. What I want to concentrate on is the foundation of traditional medicine, and educational opportunity, and how that plays out in both Germany and America. Traditional medical systems in all countries around the world use phytotherapy as the basis of their doctrines, and it is the basis for most modern medical practice. She further recounts that the efficacy of these slave-plant remedies provided the basis for Porchers medical school thesis, and subsequent report to the AMA. Included in that thesis was knowledge of plants he collected from Native American medical practitioners as well as accounts of the African-based medical practices of slaves on Caribbean plantations. These remedies would later help combat the rampant epidemics of Yellow Fever, Cholera and Malaria, which swept through the South in the late 1840’s. During the Civil War, in what can only be seen as a perversely ironic, twist of fate, the Confederacy published Francis Porcher’s book, Resources of Southern Fields and Forests, which was based on an expanded version of his medical thesis gleaned from “…fifteen years of experience among the sons and daughters of Africa, practicing medicine on them and watching them practice as well…” Those African slaves made a sadly invisible yet invaluable, fundamental contributions to the future medical standards of the AMA. So what does that tell us about the power and use of medicinal plants and their place in contemporary medical practice? At the beginning of the 20th century, traditional plant medicines, or phytotherapy declined due to the rapid development and fiscally profitable production of synthetic medicines. However, people in low and middle-income countries never stopped using plants as their main source of medicine. And, as rising medical costs plague most societies around the world, we have seen a renewal of interest in traditional practices and herbal remedies. Herbal medicine is more readily accepted in Europe than in the United States, and a number of the Homeopathic remedies in the U.S. are imported from the EU. The French company Boiron produces Oscillococcinum, a first symptom homeopathic remedy for the Flu, which is highly effective and sold in the U.S, but oddly enough, not allowed in Germany due to trade restrictions. However, European physicians, health professionals and researchers have formed ESCOP, the European Scientific Cooperative for Phytotherapy. This organization is publishing monographs on individual herbs used in clinical medicine as well as those used for self-medication. Back to the corner Apotheke. In Germany, every single one of those corner Apotheken are well stocked with phytomedicine. Bulk bags are dispensed by pharmacists who are trained in both Western bio-medical and plant medicine. Wow. Go ask about herbs for; bronchitis, hypertension, gallstones or a liver detox and they know exactly what you need. They disappear into the back and come out with several bags of herbs, root, and flower cures, and proceed to ask you questions about your condition. I find that to be a wonderful benefit. This does not happen in a local Walgreen, Rite Aid or CVS! Everyone in Germany as far as I know, uses phytomedicine first and synthetic medicine and prescriptions as a last resort. In Germany, the Ministry of Health has a separate commission, The German Commission E, which compiled 380 monographs evaluating the safety and efficacy of herbs for licensed medical prescribing in Germany. 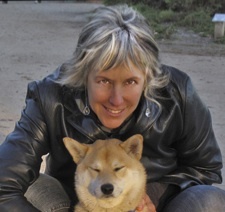 There is an English translation by the American Botanical Council. The commission itself was formed in 1978 and is presently part of the “Bundesinstitut für Arzneimittel und Medizinprodukte” (German equivalent of the FDA). German doctors study herbal medicine in medical school, and since 1993, all physicians in Germany must pass a section on these medicines in their board exams before becoming licensed. So cool! In America, the FDA (U.S. food and Drug Administration) attempts to regulate the burgeoning herbal and supplement industries, but there is currently no licensing body for the practice of herbal medicine in the United States. However, America has wonderful schools which license and teach practitioners the Western bio-medical model, and Oriental approaches, such as Traditional Chinese Medicine and Ayurveda. Within the Western medical community, naturopathic physicians have a solid foundation in botanical medicine and phytochemistry, and many hospitals in the U.S. are now acknowledging and implementing the traditional medical practices of the immigrant communities. I’ve listed links to several organizations and schools at the end of the blog. Here in Germany, a traditional and quite delicious dish is Grüenköhl, or Kale. Super rich in anti-oxidants and vitamins, Grüenköhl, is eaten with gusto and is really full of health promoting power. The other is Frankfurter Grüen Sauce, a deeply green sauce of 7 blended herbs (4) which is absolutely delicious. All of these herbs are medicinal and I found it really interesting that these healing plants are readily enjoyed by just about everyone. O.K., they are often accompanied by fatty pork dishes, but still… The power of these plants to heal has worked its way into popular cuisine, under the radar of even the most stubborn skeptic! So, no matter what type of medicine you prefer for healing, go eat your greens! I certainly am. 2. John Mosley interview, Rawick, suppl. 2, vol. 7.6, Texas, 2805.